Barmac Garage Doors Mfg. 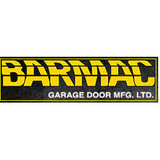 Ltd.
For over 40-years, Barmac Garage Door Mfg. Ltd. has been an industry leader in the design and manufacture of both steel and wood overhead doors. The company was founded by former President, Loreto Moschitti and is now led by his son, and current President, Michael Moschitti. Barmac is conveniently located in the heart of the GTA. Housed in a 65,000 sq ft. manufacturing facility, Barmac is fully equipped to accommodate the needs of both residential and commercial customers. Utilizing highly trained professionals and advanced machinery, our state-of-the-art methods ensure a high standard of quality control with the ability to meet large volume requirements. Barmac's team of residential and commercial garage door technicians are available to provide expert service, on time delivery, and installation for all our overhead doors. Barmac is committed to providing quality customer service and is proud to be part of the success of many home builders, commercial building contractors, and individual consumers. B & M Garage Door Inc is a garage door specialist for residential, commercial, agricultural and industrial applications, proudly serving the Mississauga and Georgetown areas. 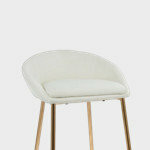 We would love for you to visit our showrooms. There, our team can give you personalized advice in purchasing a garage door, an installation that meets the highest industry standards, and unequalled after-sales service thanks to our maintenance and repair program. Our full range of products also includes electric garage door openers as well as many other accessories to go with your garage door. Think of us when it comes to buying, installing or repairing any type of garage door. B & M Garage Door Inc constructs distinctive garage doors that complement the unique architecture of significant older homes or newly designed residences. All our doors are hand crafted with the highest quality detailing. Our team is ready to give you the fastest service in the industry. Showrooms are located at 3170 Ridgeway Drive in Mississauga; and in Georgetown at 118 Guelph Street. You will find our business hours for both stores at the bottom of this page or in the Contact Us section. We invite you to come and visit us, and on behalf of our entire team, we thank you for considering our company. 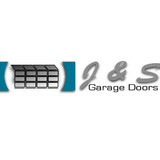 At J & S Garage Doors, we specialize in garage door repairs and replacements. Founded in 2004, we are proud to be a family owned and operated business. We offer friendly service, quick turnaround time and the lowest possible prices. And best of all, we only carry top-quality products. Come and see how our customer service sets us apart from the competition! We serve the Greater Toronto Area, from Oshawa to Oakville to Innisfil. Visit us at 3980 Chesswood Drive, Toronto, or call us at (905) 882-6464. We look forward to serving you. Whitby Garage Doors Ltd. is a division of Markham Garage Doors Ltd. who has been redefining the garage door industry with customer care that is second to none and a desire to give the customer the best possible buying experience. Whitby is no exception to this philosophy it has been built to give the same level of service to the Durham Region as York Region has enjoyed for over 10 years. Owners Chris Dale and Kevin Chappel have created a new division of their company due to overwhelming interest in the Durham Region that has been filled to date by Markham Garage Doors Ltd. Now Brandon Sloan a highly skilled technician of Markham Garage Doors Ltd. has become the roots for Whitby Garage Doors Ltd. Brandon is not only one of the best technicians’ we have come to know in the industry, he enjoys customer interaction, providing the best in service and value, and lives locally in the Durham Region. Brandon has been an integral part of Markham Garage Doors Ltd since its inception and will be very successful in providing customers with a level of service that they have not experienced in the past. Whitby Garage Doors and Markham Garage Doors share the very same ideal, that is to ensure our customers receive the best service, on time every time. 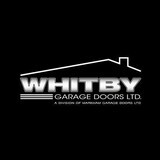 Enhance your Curb Appeal with Whitby Garage Doors Ltd. Founded by George Schneider in 1971, for over 40 years Uptown Garage Doors has been delivering the best value for homeowners in the Greater Toronto Area. 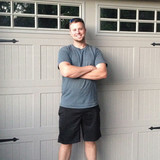 Family owned and operated, today Uptown Garage Doors is run by Curtis Schneider, George's son. Uptown Garage Doors believes in catering to the needs of our customers. We will ensure that every job is completed to full Customer Satisfaction. We are knowledgeable and believe in offering the best value for garage door servicing, repairs, and installation. Our technicians are specialists and take pride in the work they offer. Not only will we give you the service you deserve, we will give you some of the best quality materials, with the best service, at a great price. Regional Door & Hardware (Niagara) Ltd. Friendly Dependable Service Regional Doors & Hardware was established in 1983 by five experienced and ambitious partners. Their goal was to offer high-quality products, service that is second to none, and a fun & friendly working environment. Thanks to a dedicated staff, solid partnerships built with the industry's leading manufacturers and exceptional customer relations, we became, and remain, one of Niagara’s first choices when it comes to garage doors, interior doors, mouldings, hardware and many other home improvement products. More than 30 years have passed since we first opened our doors. 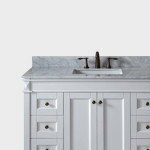 We have seen many changes in home building and home improvements during that time. One thing that hasn’t changed is our dedication to maintaining the principles on which our founding partners first established the company. These original principales of honesty, integrity and excellent service remain as important to us now as they ever have been. Our showroom and warehouse are located at 44 Scott St W, St Catharines. This one location has helped us maintain our local presence, while still allowing us to grow significantly. We now serve not just the builders and renovators of the Niagara region, but have been involved in many major commercial and residential projects throughout St Catharines, Hamilton, Grimsby, Niagara Falls or surrounding areas. Opening the door to quality since 1993 As we look to the future, we believe our philosophy of careful and steady growth will enable us to continue to provide our customers with the best quality service and products for years to come. We look forward to working with you! Caliber Door Systems Inc. is committed to supplying only the highest quality materials. We offer quality overhead garage doors, fire rated hollow metal doors and aluminum store front doors. Our broad range of products can accommodate any jobsite consisting of a single built home to a subdivision of over 500 houses. Our professional series overhead door and gate openers are from only trusted national manufacturers. We are dedicated to customer service, and satisfaction with quality, experience, and integrity you can count on! Our Service technicians combined have over 90 years of door service experience. We answer calls for scheduling 7 days per week, 24 hours a day. We can make an appointment right when you call, giving you comfort that you will get your door repaired as soon as possible. 24-Hour Emergency Service 365 days a year. Service at your convenience...not ours! Mr Home Garage Doors offers garage door installation, repairs and maintenance. We also offer services such as aluminum wrapping, weather stripping and window installation. Garage Door Geeks are dedicated to bringing you satisfaction. With over 10 years of experience, our skilled technicians offer exceptional service to help keep your door last you longer. Garage Door Geeks technicians are provided with the skills and parts needed to make your door run smoothly. We offer warranty on all work that our qualified technicians perform on your garage door repair, along with the parts installed A proper functioning garage door is vital for a long life of a garage door. Our qualified technicians will replace or repair warn out parts to improve the longevity of the door. A garage door is composed of many metallic parts that need to be constantly lubricated to reduce the wearing of bearings and hinges. To understand the proper upkeep of a door, the mechanics of the garage door have to be first understood. A garage door is composed of a few mechanical components, when integrated together they work as a whole. The main component of any door is the spring. The spring is usually found over the garage door, its role is to take away as much weight as possible, making it seem light enough to lift with one finger. The springs are wound in respect to the height of the door, and are secured to a torsion bar. The torsion bar stretches from one side to the other, overhanging the tracks. On either side of the door, drums are located to wind up cables that are attached to the bottom of the garage door..
We are a dedicated manufacturer of Security Shutters & Roll Up Doors for residential and commercial applications. Our shutters and doors provide complete 4-season protection from Cold, Heat, Break-Ins, Noise, Severe Weather, UV Fading, Dust, Debris and unwanted Visitors. Our shutters and doors are versatile and can suit many different applications: - Cabana Counters, Sheds and Poolhouses Roll Up Doors - Porches, Patios and Muskoka Rooms Enclosures - Boathouses, Garages, Carlift Garages, Carports and Laneway Access Doors - Storefronts, service counters, utility rooms, kiosks and concession stands - Shelving security shutters for legal, financial and medical documents Our Roll Shutters are aluminum with a foam injected core for insulation. Aluminum is non-corrosive, lightweight and easy to transport, install, maintain and repair. 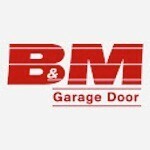 B & M Garage Door Inc is a garage door specialist for residential, commercial, agricultural and industrial applications, proudly serving the Mississauga, Brampton, Halton Hill, Milton, Oakville and Georgetown areas. We would love for you to visit our showrooms. There, our team can give you personalized advice in purchasing a garage door, an installation that meets the highest industry standards, and unequalled after-sales service thanks to our maintenance and repair program. Our full range of products also includes electric garage door openers as well as many other accessories to go with your garage door. Think of us when it comes to buying, installing or repairing any type of garage door. B & M Garage Door Inc constructs distinctive garage doors that complement the unique architecture of significant older homes or newly designed residences. All our doors are hand crafted with the highest quality detailing. Our team is ready to give you the fastest service in the industry. Showrooms are located at 3170 Ridgeway Drive Unit 19 in Mississauga; and in Georgetown at 118 Guelph Street. You will find our business hours for both stores at the bottom of this page or in the Contact Us section. We invite you to come and visit us, and on behalf of our entire team, we thank you for considering our company. At Autograph Door System’s we are “garage door experts” for all your residential; commercial; agricultural and industrial applications., For over 35 years we have been proudly serving all of Durham Region, Toronto East, Kawartha Lakes Region, Scarborough, Pickering, Ajax, Whitby, Oshawa, Courtice, Bomanville, Newcastle and surrounding areas for both installation of new doors, or for servicing your existing garage doors. We offer a full range of products, including electric garage door openers as well as many other accessories to compliment the installation of your new garage door. Think of us when it comes to buying, installing or repairing any type of garage door. Every installation is performed to the highest industry standards, and we also offer unequalled after-sales service thanks to our maintenance and repair program. We would love for you to visit us at our showroom located at 785 Westney Road S. in Ajax. There, our team can give you personalized advice on purchasing a garage door. 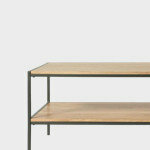 Our showroom is open Monday to Friday from 8:00 AM to 4:00 PM. However, if it is more convenient we would be happy to have one of our professional sales staff come to your home or place of business to discuss the many different designs and styles of doors to best suit your needs and budget. Call us today to arrange an appointment at (905) 686-6195, or 1-866-686-6195. Doan’s Overhead Doors is a garage door specialist for residential, commercial, agricultural and industrial applications, proudly serving Lindsay, Peterborough, the Kawarthas and Durham Region for 20 years. 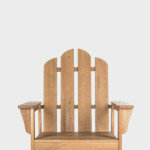 Our company is built on pride of workmanship and customer satisfaction. We would love you to visit us at our showroom located on 121 Queen Street in Lindsay, where our team can give you personalized advice in purchasing a garage door, an installation that meets the highest industry standards, and unequalled after-sales service thanks to our maintenance and repair program. Our full range of products also includes electric garage door openers as well as many other accessories to go with your garage door. Think of us when it comes to buying, installing or repairing any type of garage door. We are a member of the Canadian Door Institute (CDI), the Chamber of Commerce and the Ontario Federation of Business. Our showroom is located at 121 Queen St in Lindsay, south-east corner of Queen and St-David. Our business hours are Monday to Friday from 8:00 AM to 5:00 PM and on Saturdays from 9:00 AM to 1:00 PM. We also offer a 24-hour emergency service. I invite you to come and visit us, and on behalf of our entire team, I thank you for considering our company. Homeowners often underestimate the aesthetic value of garage doors, but they’re actually a great opportunity to boost a home’s curb appeal. That’s where garage door sellers and installers come in. Whether you are building your first home or remodeling an existing one, a garage door dealer in Concord, ON can help you choose a stylish garage door that will enhance your home’s exterior and provide security for your car and belongings. What kind of services do Concord, ON garage door dealers and installers provide? Garage door professionals specialize in the selection and installation of residential garage doors and openers that fit your budget, style and needs. This includes choosing a garage door style — or designing a custom garage door — that blends in with your home’s exterior, selecting materials, determining a technological system that supports your security and access needs, determining proportions and dimensions, finalizing decorative designs and ensuring that everything meets Ontario compliance and building codes. Find garage door sellers and installers in Concord, ON on Houzz. Narrow your search for Concord, ON garage door sellers and installers by selecting the nearest city or zip code. Look at portfolio and product photos, and read reviews to find the best Concord, ON garage door professional for your home.